According to my note-books it was in 1975 I conceived of a power amplifier which would "outclass" everything else on the market. 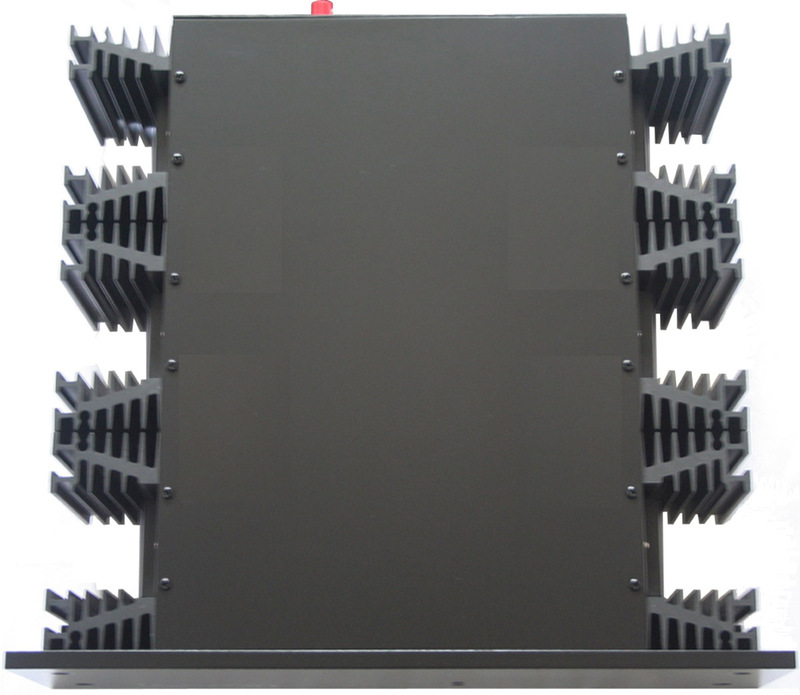 It was one of the very first High End amplifiers. This extraordinary amplifier first appeared as the Lecson AP4 then following the demise of that company it was featured by Electronics Today International magazine and kits of parts were sold under the "Jeremiah Braithwaite" brand name. 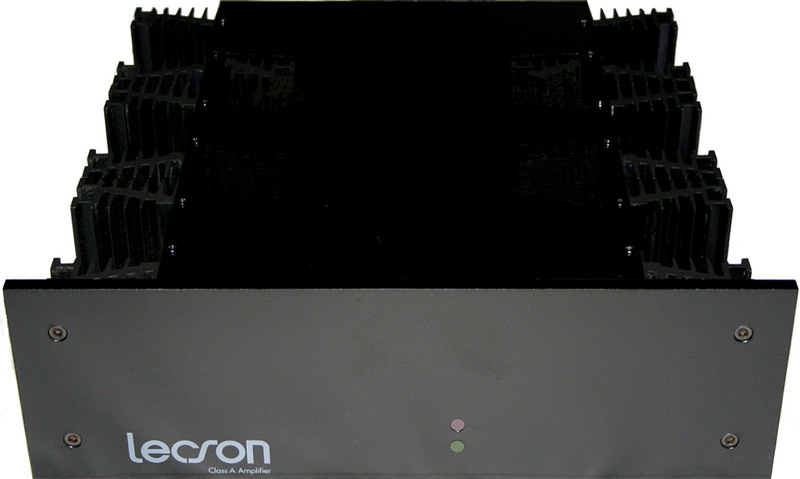 This last great Lecson power amplifier, the AP4, was a massive Class A monobloc with a Class A output of 80 watts and a much higher output in Class AB. Think of it as a Krell before its time because back then there wasn’t such a thing as a true “High End” amplifier so I guess this was the first, at least in Europe.. The first prototypes were demonstrated in 1977 and they finally hit full production in early 1978 . A batch of about 50 pairs was laid down but after 5 or 6 pairs had been sold the company ceased trading and I bought the remainder when I bought Lecson & the assets. I sold the completed amplifiers to enthusiasts then published the design in "Electronics Today" as the "System A amplifier" and sold the remaining parts as "Jeremiah Braithwaite" kits (see the advert below). Some years ago the publishers told me it was their most popular article ever and it was re-printed in different digests four or five times. I’ve attached the original 1981 ETI articles as PDFs below and added a postscript that was published in 1986 suggesting a few minor improvements. The AP4 featured a 15mm thick aluminium front with two lights. One for power and one to show over-heating of the case -- it never came on in practice but two lamps looked better than one. 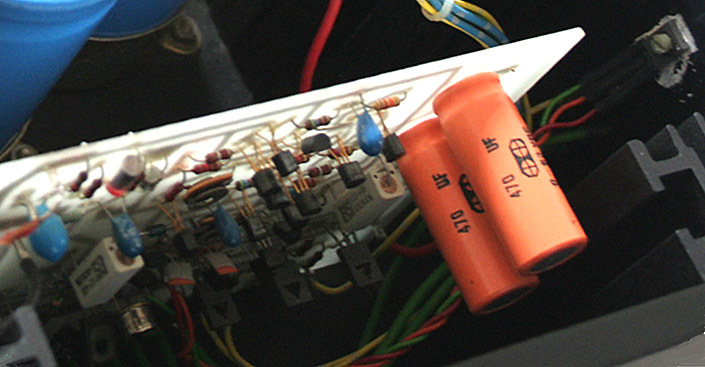 A view of the main circuit board. 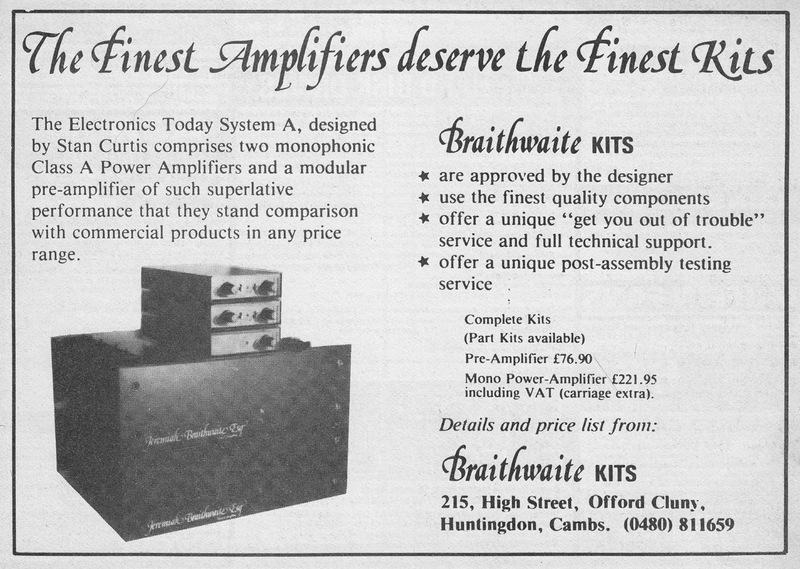 The advert from ETI magazine showing the kits for the Pre-Amplifier and the Power Amplifier. The prices look too good to be true from today's perspective. How does this amplifier rate today? Well the handful of owners I’ve found absolutely love this Class A amplifier but it can be significantly improved. 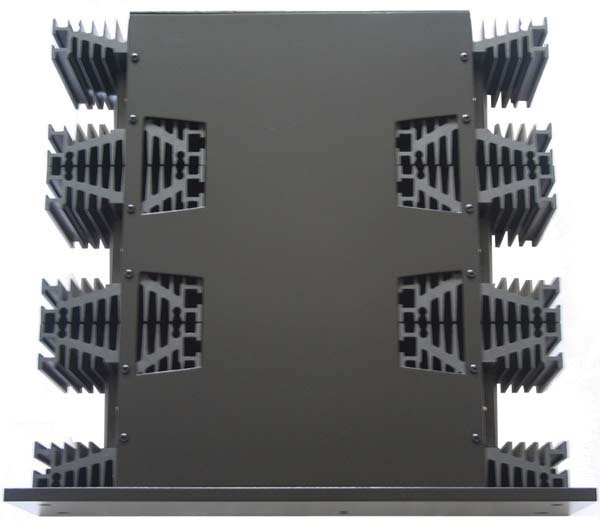 Actually the circuit is very good and few changes are needed but the construction and wiring can be vastly improved and the changes will be quite audible resulting in an awesome power amplifier. One day I’ll build myself a pair of Lecson AP4 mark2 amplifiers! Incidentally my three pairs of AP4s were set up with a 5 amp standing current so they dissipated 400 watts of heat. Six of them dissipated 2400 watts which is more than an electric cooker; not very practical on a hot day and very hard on the wallet when the quarterly electricity bill arrived !